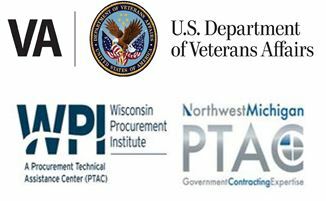 This webinar will discuss the widely held beliefs by many Government contractors that certain provisions of the Federal Acquisition Regulation (FAR) dictate the reasons a contractor may use to justify a sole source determination. Discussion will include review of the FAR provisions, their applicability to sole source determinations and rationale contractors may use to make a sole source determination. Following this overview, actual sole source determinations will be reviewed for the webinar listeners to independently review before hearing from the presenter what he considers good or bad about the sole source determination. Speaker: Phil Bail, President, Phil Bail & Associates (https://www.philbail.com/) – Philip G. Bail, Jr., CPCM, Fellow, is the Owner of Phil Bail & Associates, a veteran-owned small business (VOSB). Phil is a retired Air Force Contracting officer. He has also worked for more than forty years in both the aerospace and hazardous waste disposal industries as Purchasing Manager, Manager of Major Subcontracts, Director of Government Contract Administration, and Small Business Liaison Officer (SBLO). As a warranted contracting officer in the United States Air Force, he negotiated against the major aerospace companies, construction contractors and service providers, always getting the best price for the American taxpayer. While working in private industry he successfully challenged poorly written solicitations and statements of work, lodged successful protests against the government; and, filed and received equitable adjustments for an aerospace manufacturer and a hazardous waste disposal company approaching $12 million dollars during a ten-year period of time.